The polar vortex - and the mass climatic changes are still questioned by some as being climate change. As the slabs of hard snow on the ground melt away, so do Ireland’s memories of the peculiar March whiteout – some good, some not so much, and one in particular involving a stolen digger and a mangled Lidl supermarket. But though the country has seen an apparent return to business as usual, events farther up north suggest environmental volatility is rising to an unprecedented scale. Events to which our snowstorm was only an apt prelude. The atmosphere in the aftermath of Storm Emma seemed peculiarly cheery, with the return of seasons being cited as the cause of the nation’s enthusiasm. But research suggests this is far from the fact; scientists in the Arctic reported the highest temperatures on record this winter, with some reaching as high as 35 degrees Celsius. On the other hand, figures from the World Meteorological Organisation (WMO) reported an increasing unnatural display of cold temperatures in tropic regions in the past two years. In 2016, east Asia experienced several cold cyclones that swept as far south as Thailand. The same year, the Guangzhou region, located in southern China, experienced its first snow since 1967. This month, Rome—a city unaccustomed to cold winters—saw a heavy snowfall while temperatures fell almost as low as minus eight degrees. Our own storm caused a sharp disruption in transport networks and the closure of most stores and public buildings, outlining Ireland’s unpreparedness for weather extremes. In a freak trend, warm regions were hit with cold temperatures while their natural hosts were immersed in blistering heat. It shows that a climatic change is clearly evident, says Jari Liski, climate system researcher at the Finnish Meteorological Institute. While it underlines the inevitability that warm and cold conditions exist simultaneously, recent events showed that in regions around the world they are being interchanged. “In winter some places are warm, so that means other places have to be cold – so in that regard we should be worried,” Liski says. This anomaly is being attributed to a polar event that is rooted in human causes. Scientists believe the blanket of air preserving cold temperatures in the Arctic—otherwise known as the polar vortex—is gradually deteriorating, sending the cyclone outward. It’s erosion is believed to be caused by the outflux of greenhouse gasses into the earth’s atmosphere. Data collected by NASA shows that carbon dioxide levels have been clambering in the past four centuries, reaching their now-highest point—significantly higher than that in the Industrial Revolution era, when burning of oil and coal escalated to unprecedented proportions across Europe to fuel the machine manufacturing process. The emissions released into the atmosphere have resulted in a virtual barrier, trapping the heat from the Earth’s surface and raising temperatures globally. NASA research estimates that temperatures have risen by about 1.1 degrees Celsius on a global average, with most significant changes occurring in the past 35 years. These effects are most evident on polar ice caps, where land and sea ice levels are continually seeing record lows on a year-by-year basis. September last year, Arctic sea ice made up an area of 4.8 million km²—a shrinkage of 2.8 million km² since 1996. It has seen the loss of a landmass measuring the size of Argentina (the ninth biggest country in the world) in just over two decades. To put it in context, the cold waves experienced by Europe this month were precipitated by the increasingly warming temperatures happening globally, which are sending wild cyclones across areas where they would not be a customary occurrence. Consequences of this erratic displacement are difficult to predict—as it is to attribute the freakish events to the wider issue of climate change. Disagreements among intellectual climatologist discussions remain rife: an event like the one we seen only has the capacity to happen once in a lifetime, says Met Eireann climate scientist Aidan Murphy. “It’s very hard to pin that down to a particular trend or climate change,” he says. And he’s right—what is or is not a product of climate change remains an open question. 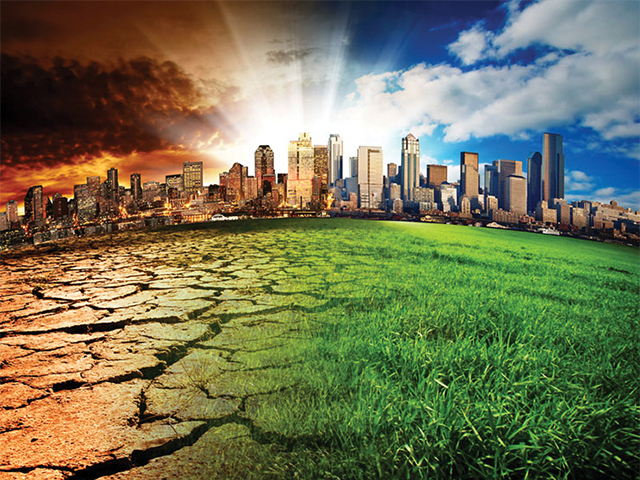 However, organisations dedicated to researching the field are confident we are likely to see continuing increases in global temperatures, and a pertaining chain of effects that range from plant and animal shifts to prolonged droughts that have potential to harm food crops. The question that dominates scientists’ minds is that if climate change is a slow-developing phenomena and we are now seeing the aftermaths of 18th or early-19th century industrialism, what will we see 50 to 100 years down the line? The day of judgement may not come by way of a Biblical flood but one thing is sure: we won’t get redemption by maintaining a mindset of purposeful ignorance. Also, we may want to dig out those long-forgotten parkas.